Throwing a party? 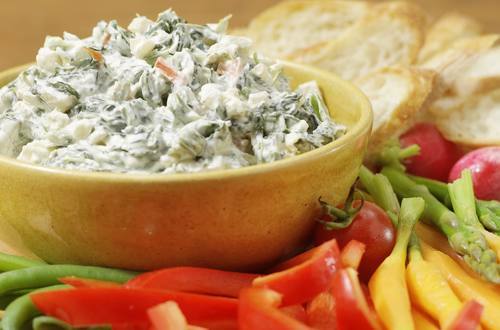 Blow your guests away with our creamy spinach dip recipe! This easy recipe is bound to be a hit with everyone at any time of day! 1 Combine all ingredients. Chill 2 hours. Substitution:  Try using 1 container (16 oz.) nonfat plain Greek yogurt instead of sour cream. Tip: If you like heat, try stirring a few drops of Tabasco® Sauce into the dip. Also terrific with Hellmann’s® or Best Foods® Canola Cholesterol Free Mayonnaise or Hellmann's® or Best Foods® Light Mayonnaise.